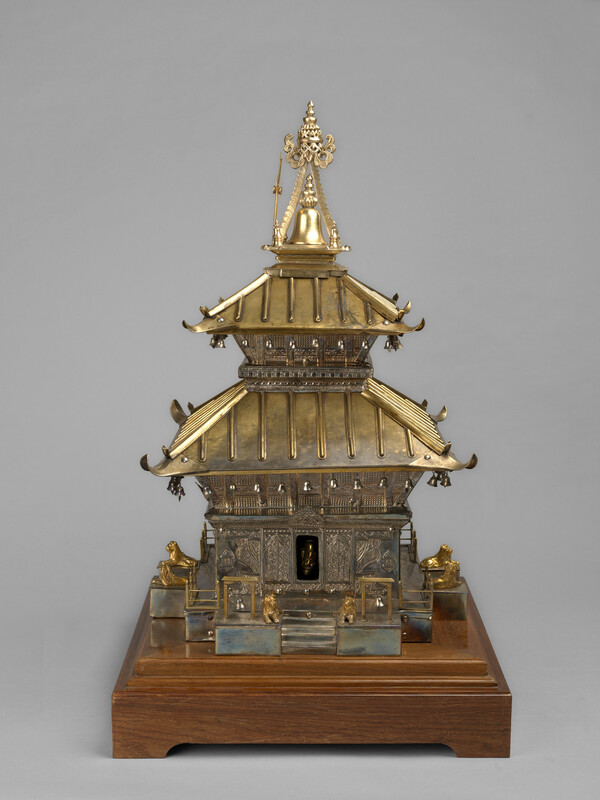 A model of a silver temple of Pashupati Nath in gilt-metal fixed to a square wooded stand. Two pagoda-style roofs with suspended bells, a pair of lions at each of the four doorways. Walls embossed with Eastern patterns.